Congrats on the completion of your classes! I am really excited for you. I need to take some business classes, which is what my college degree is in, but first I have to get through all the boring standard classes like English and Math. I like your little drawing of a potential new logo! I do like your old logo, but I could see how people might not be able to match it with your business name. 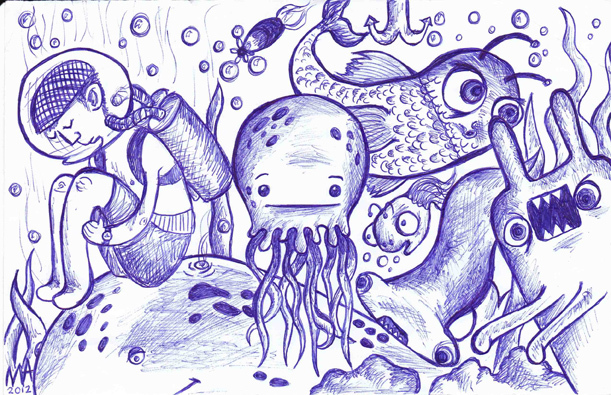 I love your drawings! You should sell prints or something! I think have a monster by your logo would make more sense than the bird (thought it is cute!). If you had a bird type monster that would be so perfect! Sadly I don't have a bird monster. 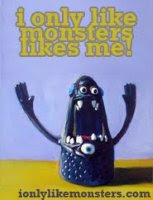 I deffo think a monster would be cute! Although you are called a curious little bird you do make monsters!! Maybe a monster with a cute little bird on his shoulder?? I like curly fonts but then I always see logos and signs with other fonts that I like haha!! The logo would be nice if when seen without the words "Curious Little Bird" that someone would know it was my business. So maybe a monster with a bird on its shoulder could be cute!